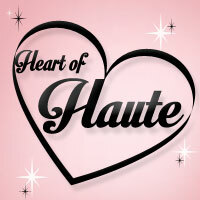 For those unfamiliar, Tatyana is a retro-inspired clothing company operating in the Las Vegas, United States for over 10 years. Tatyana carries sizes XS-4X so every individual can exude Old Hollywood glamour, regardless of size and body shape. 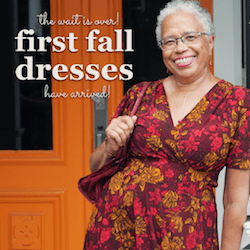 I’ve been a long-time fan of Tatyana’s gorgeous retro-inspired styles because not only do they infuse my everyday wardrobe with work-appropriate pieces, but they also have beautiful special occasion dresses. Case in point: this darling Cafe Noir swing dress. I was pleasantly surprised that it still hits my mid-calf, which is no easy feat for a dress having to contend with my barely over 5′ frame, making it the perfect tea-length dress for petite individuals like myself. I had hoped to wear this number for New Years Eve, but it is a perfect femme noir dress for those who celebrate Valentine’s Day and don’t want to be lost in a sea of pink and red. It certainly provides romantic overtures with lace trim, perfectly accentuating its sweetheart neckline. I am generally either a small or x-small in Tatyana’s clothing, depending on the style. For the Cafe Noir I opted for the xs and am happy to report I did not need to get any alterations done. Right now the Cafe Noir is on sale and has all sizes in stock. Thank you so much for my amazing friend Rachel for snapping these shots! Unfortunately, due to freezing Canadian temperatures we had to shoot these inside. But at least we had some sun shining in! Disclaimer: The Cafe Noir dress was gifted to me by Tatyana. However, all views expressed on this blog, as well as my other social media outlets, are strictly my own. 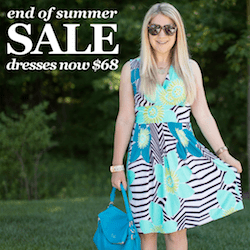 Hi Kristie, it is such a cute swing dress! the cut and length are perfect and you look gorgeous wearing it. Have a great day, Terri xo.